Scale (mm): 660, Top: solid spruce, Back flat solid maple, Neck&Sides: maple, Color: natur, Glossy finish. The Bouzouki can be equipped with 3 bands graphic equalizer for an extra 20 EUR. Suggested tuning d1. d1-a. a-d. d-G. G or e1. e1-a. 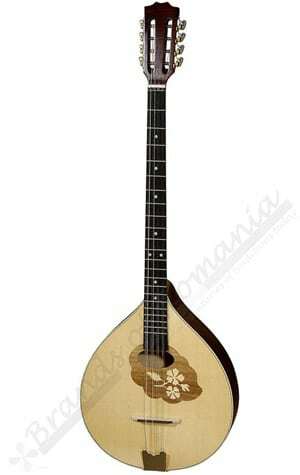 a-dd-G. G.
For Irish Bouzouki, black color, click here. We can offer a complete area of musical instruments with bows (violins, Violas, cellos, d-bass), quitars and mandolins, accesories (bows, Cases, bags). If you are interested in a particular type or model of instrument and you can not find listed on our website, please do not hesitate to write us and we will try to find it and send you a price offer for it. The romanian producer has a tradition of almost 60 years production of musical instruments. Note: Photos are illustrative. Between the picture presented online and existing product in stock there may be differences in color, shade and tone.